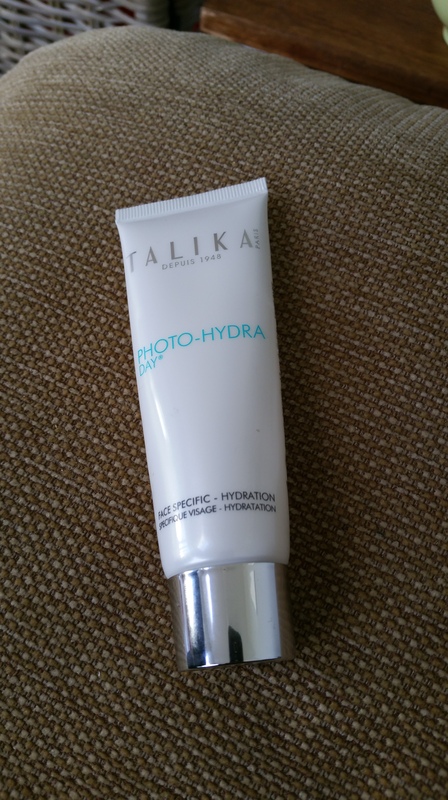 I was delighted to uncover Talika photo hydra day cream in this months Glossy box. Talika Photo-Hydra Day Cream is a deeply hydrating moisturiser which smoothes and re-plumps the skin. It contains Lipopeptides that soothe the skin; Hyaluronic acid, a powerful humectant that plumps and hydrates. Photo-Hydra Day Cream is also enriched with Mango Butter which nourishes and prevents dehydration. This cream is suitable for all skin types. It has a serum-like texture which absorbs immediately into the skin. It feels light on the skin but yet skin feels really nourished and it’s gelish consistency lends to a soothing feeling. I have noticed a positive improvement in my skin from using this, my skin looks and feels smoother and less congested. The downside of this product is that it doesn’t contain an SPF. I also found that for best results use this product over a serum. I found when i used it on its own that it didn’t make a great base for make-up, but when layered over serum it worked as a great make-up base. Overall, i give this cream a 7/10. I think ladies in their 20’s & 30’s with oily, combo and sensitive skin will do well with this product but, if your skin is more mature or indeed quite dry then i would recommend something more nourishing or oil based.